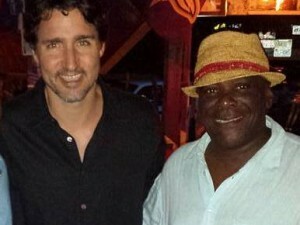 Basseterre, St. Kitts, June 30, 2017 (SKNIS): Dr. the Honourable Timothy Harris, Prime Minister and Minister of National Security, disclosed to the nation that approximately 100 new recruits are expected to fill various positions in the federation’s law enforcement agencies in efforts to ensure that St. Kitts and Nevis remains a safe small island state. “I want to remind the general public that the Team Unity Government will continue to provide our law enforcement agencies with the human, financial, physical resources and legislative support required to ensure that our federation is the safest small island state,” said Prime Minister Harris in the National Assembly on Wednesday, June 28, 2017. “It is no mistake that as we meet today, a batch of some 32 persons has started its training with the Police Force. 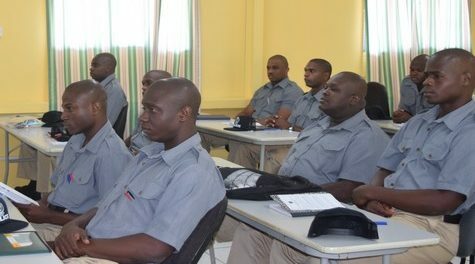 Twenty (20) of our citizens are in training at our Defense Force and we have added a further 10 over the last few weeks,” he said, while noting that these persons will be instrumental in assisting with the rehabilitation work at Her Majesty’s Prison. In further elaborating the government’s commitment to providing the necessary resources in the fight against crime, the prime minister said that “fourteen (14) persons are to be recruited to enhance the resources at our Customs and Exercise Department.” He added that 14 persons will be recruited for the CCTV surveillance and monitoring programme, summing up to approximately 100 persons to join the security forces in 2017. “We have provided the largest budget support to National Security in living memory at a high of 72 million dollars,” he said, as he reiterated the Governments investment in securing the federation with the purchase of vehicles, CCTV programme, forensics and more. “The Government of-course cannot and will not attempt to do it alone, yet we will lead and we will provide all the resources we reasonably can in the context of finite budgetary resources,” Prime Minister Harris said.